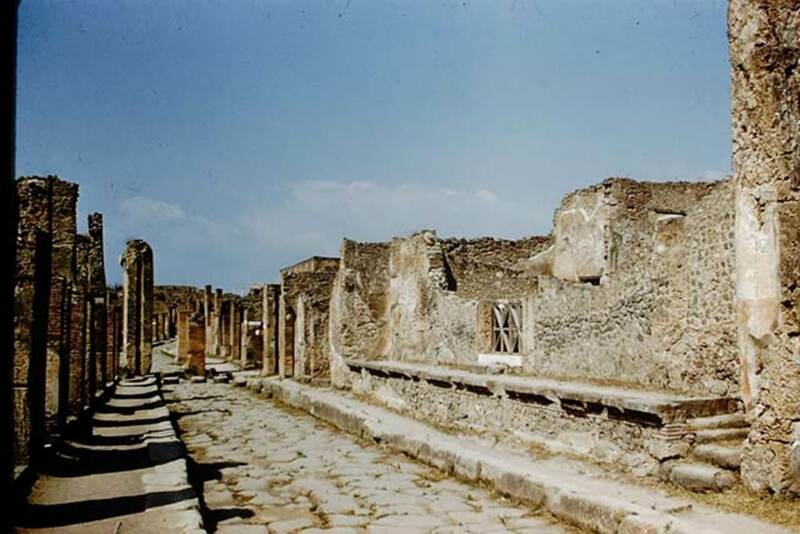 IX.1.20 Pompeii. 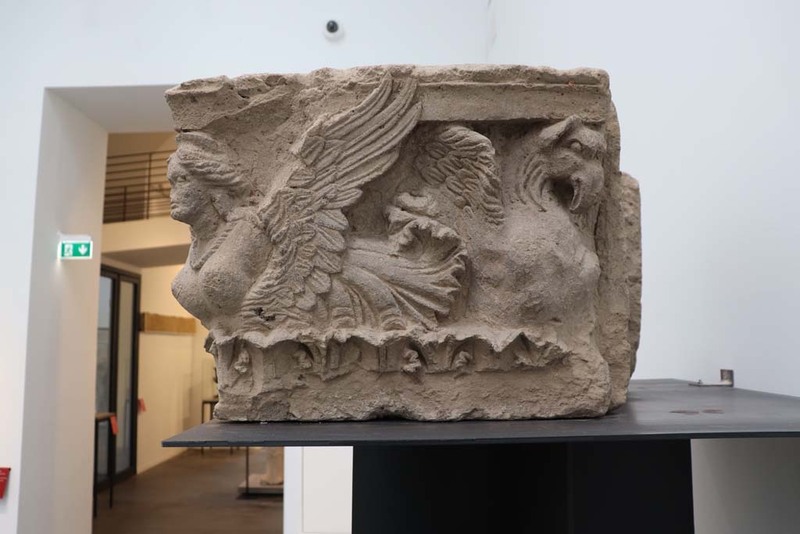 House of M. Epidius Rufus or House of Diadumeni. Linked to IX.1.30. Excavated 1858 and 1866. Bombed in 1943, restored by 1946. 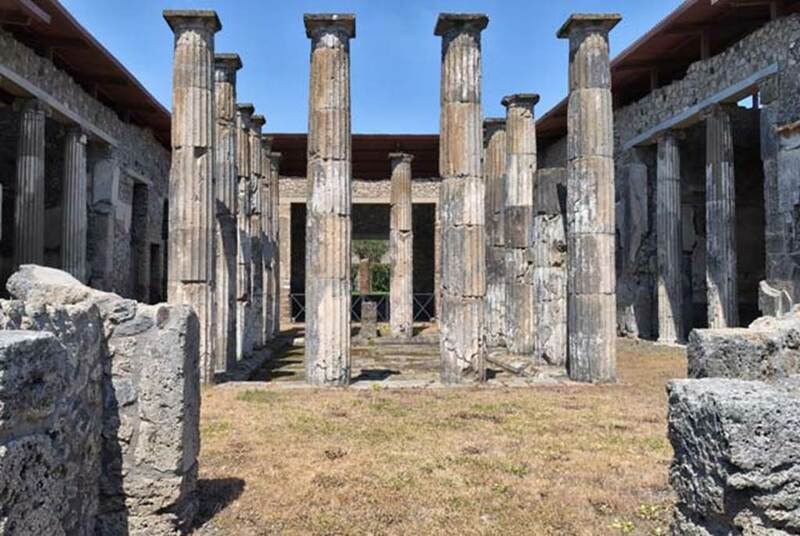 IX.1.20 Pompeii. 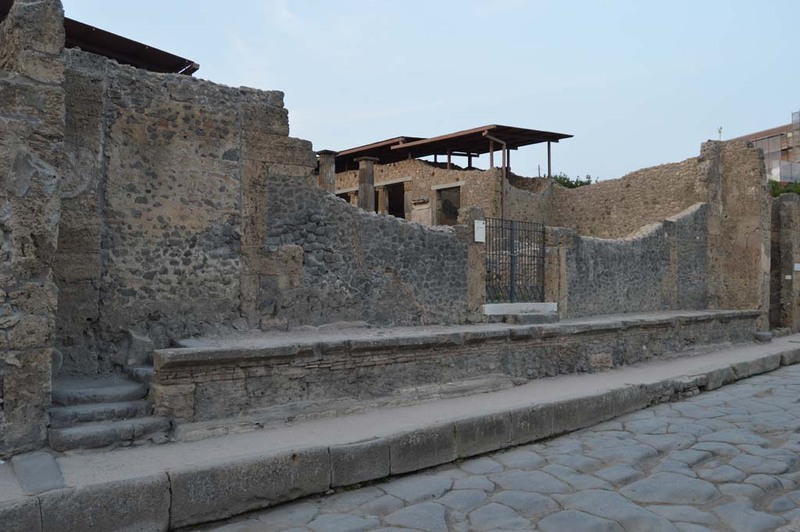 Entrance and podium on Via dell’Abbondanza, looking west. 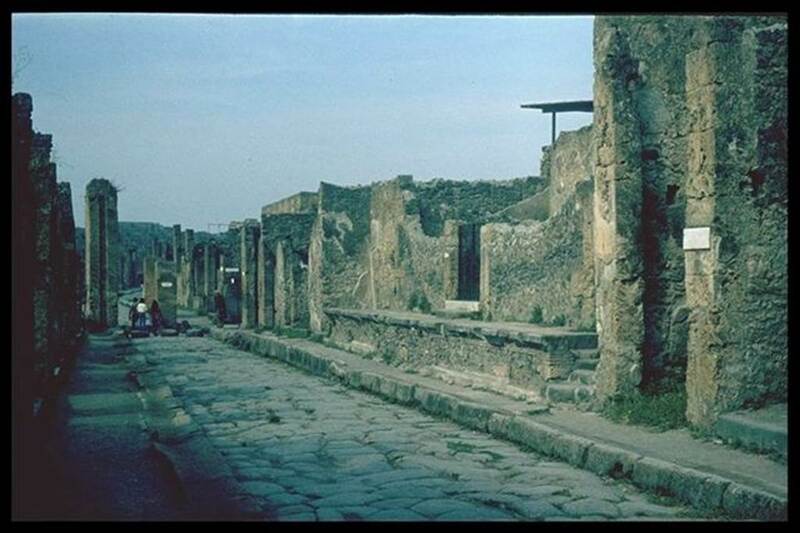 IX.1.20 Pompeii. 1964. Looking west along entrance podium. Photo by Stanley A. Jashemski. 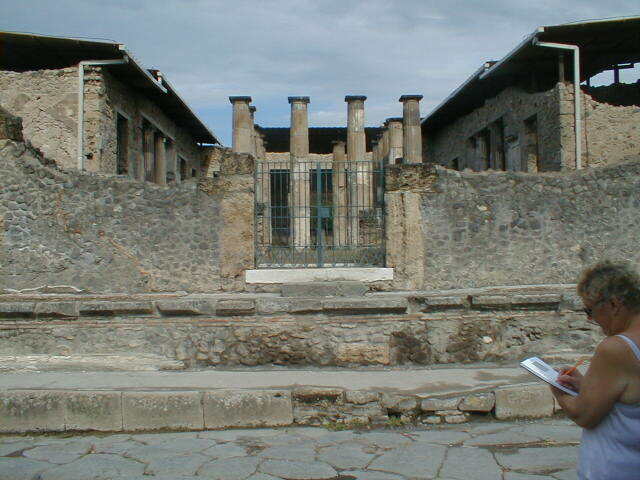 IX.1.20 Pompeii. 1959. 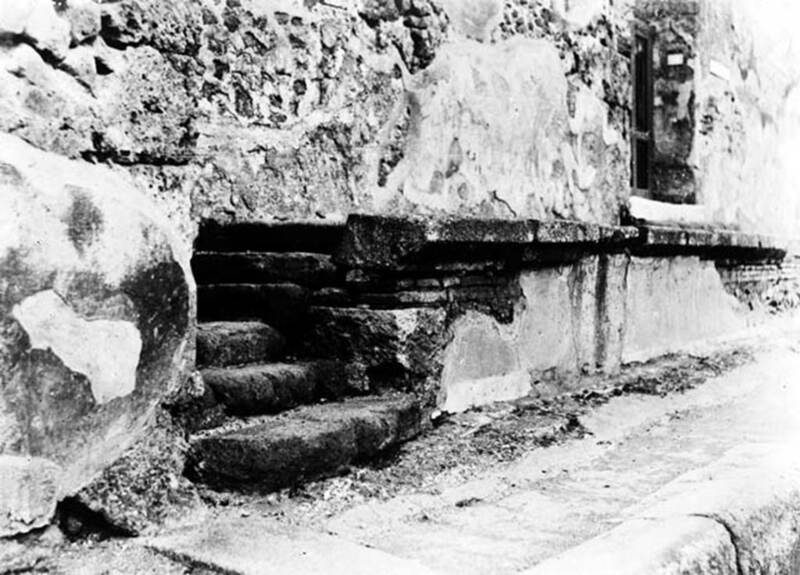 Entrance and podium on Via dell’Abbondanza, looking west. Photo by Stanley A. Jashemski. IX.1.20 Pompeii. November 2016. Looking towards entrance doorway. Photo courtesy of Marie Schulze. IX.1.20 Pompeii. 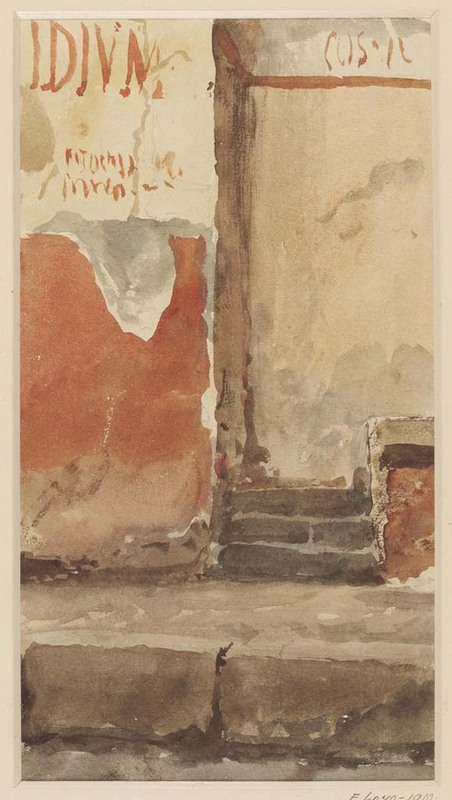 Stereoview by R. Rive, c.1860 -1870s, showing painted graffiti on pilaster between IX.1.19 and IX.1.20, together with decorated front façade before 1943 bombing. Photo courtesy of Rick Bauer. the request of his neighbours. See Cooley, A. and M.G.L., 2004. 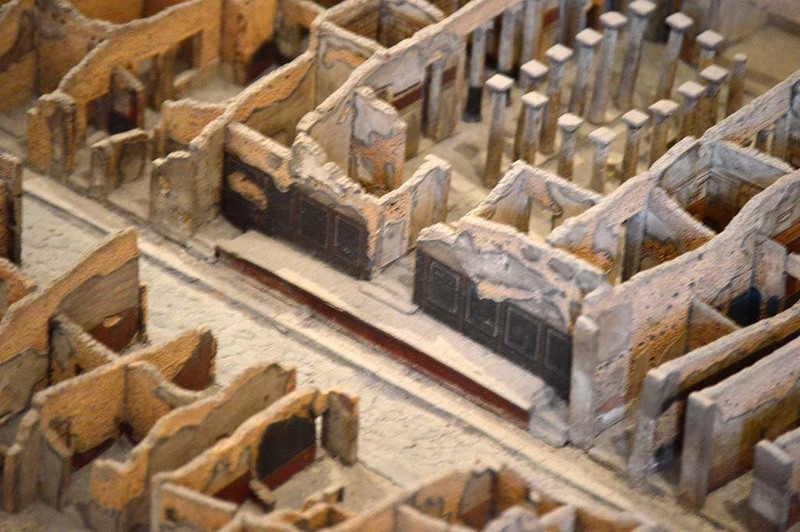 Pompeii: A Sourcebook. London: Routledge, p. 136, F114. 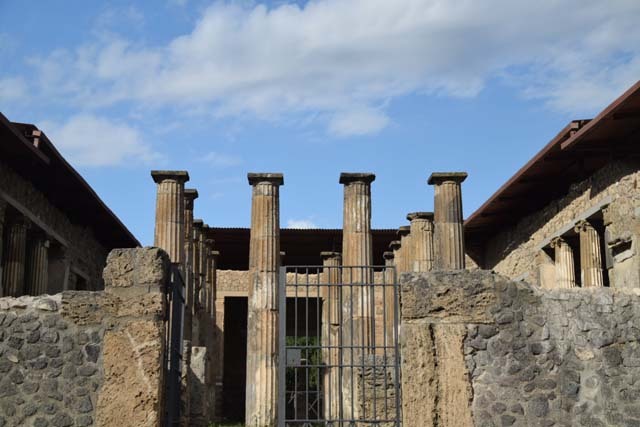 IX.1.20 Pompeii. 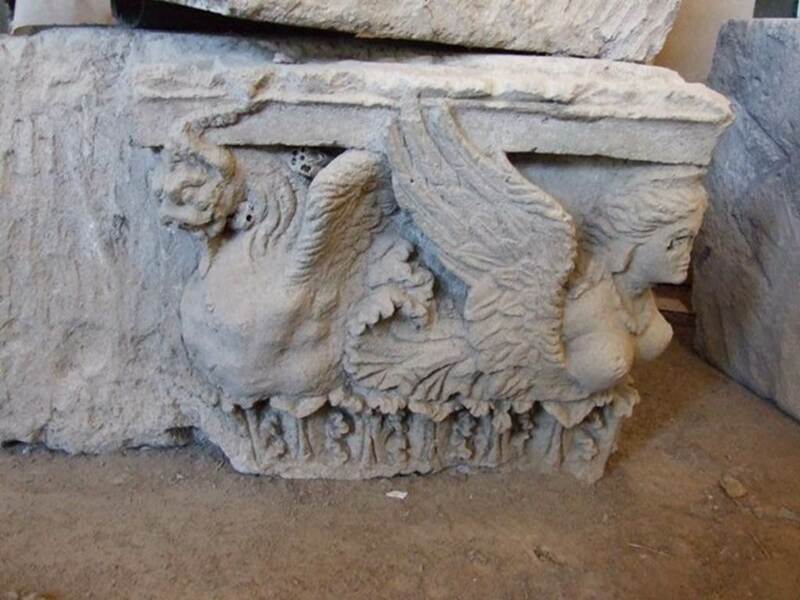 House capitals being stored in Temple of Mercury. The lower capital is from the entrance here at IX.1.20. 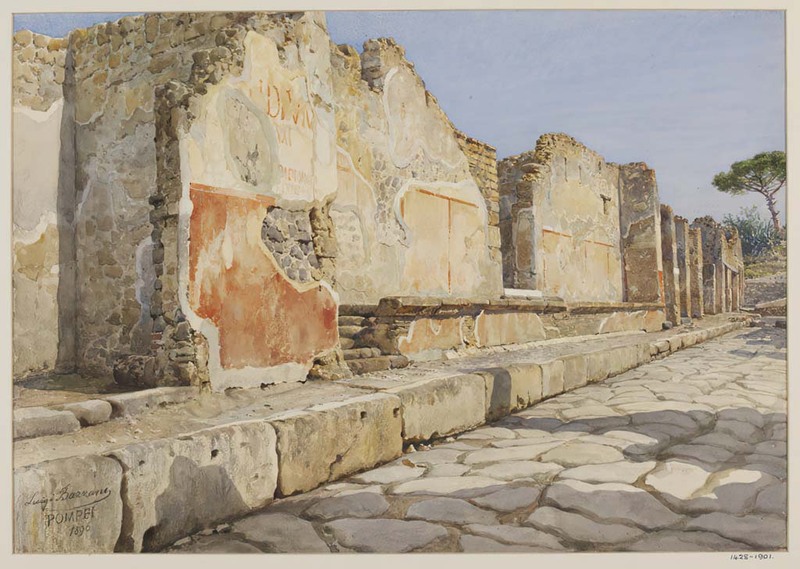 IX.1.20 Pompeii. December 2006. 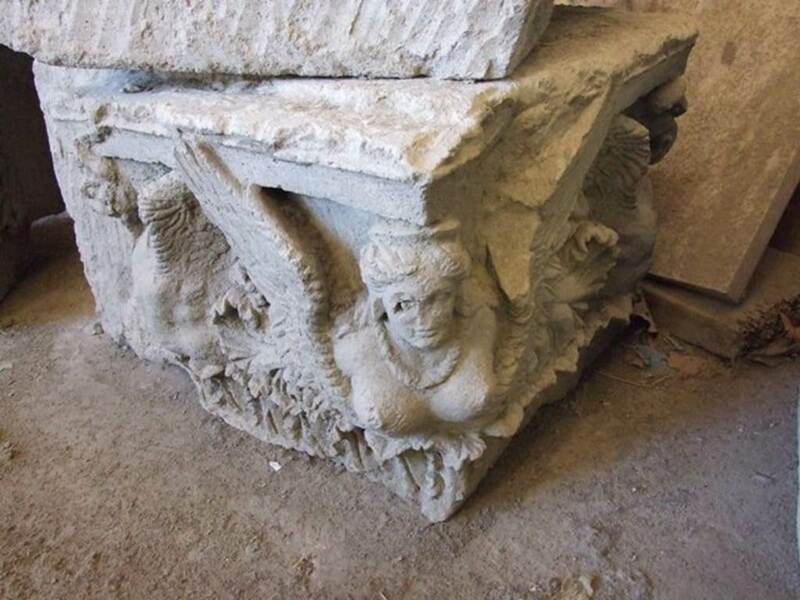 Capital with attributes of Dionysus, from the entrance. Now in storage in VII.7.29. IX.1.20 Pompeii. December 2006. Podium looking east along Via dell’ Abbondanza. 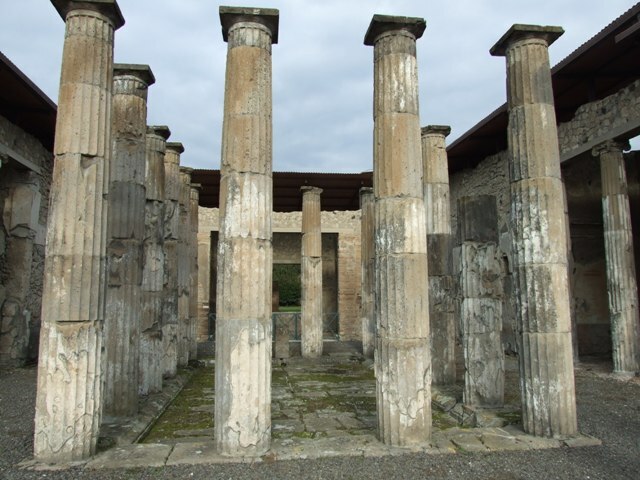 IX.1.20 Pompeii. W.332. 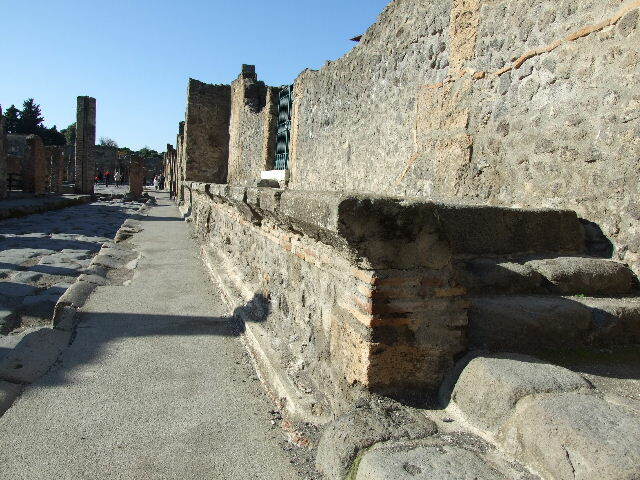 Looking east along podium towards entrance doorway on Via dell’Abbondanza. 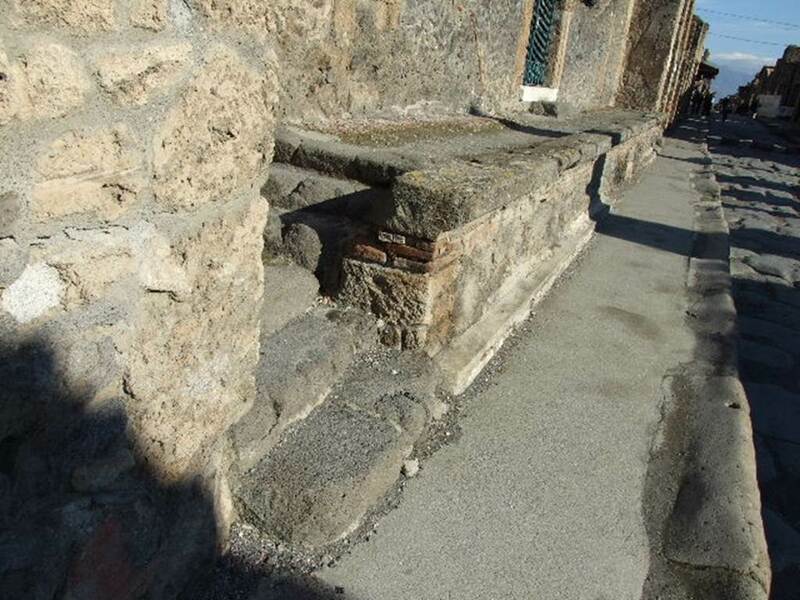 IX.1.20 Pompeii. December 2006. Podium looking west along Via dell’ Abbondanza. IX.1.20 Pompeii. December 2007. Room 1, small lobby on east side of the fauces. A small door allowed entry when the house door was closed and which made an alcove when it was opened. IX.1.20 Pompeii. December 2007. 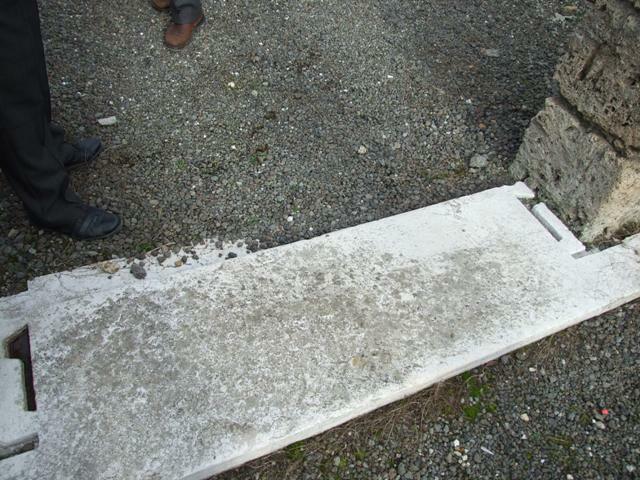 Marble sill at entrance. IX.1.20 Pompeii. April 2018. 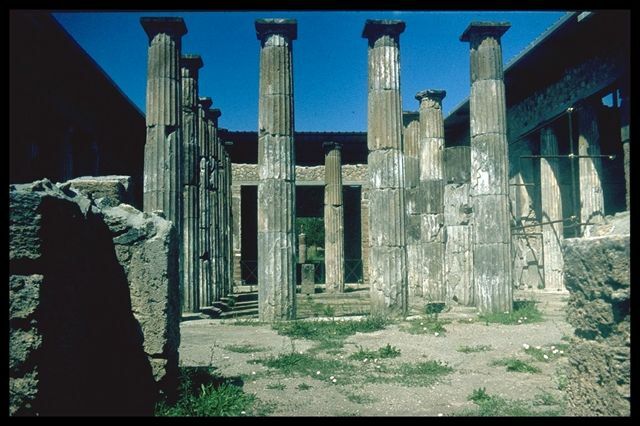 Room 2, atrium, with 16 Doric tufa columns around impluvium, rim and basin floor. IX.1.20 Pompeii. December 2007. Room 2, atrium. Tufa columns, impluvium, rim and basin floor. 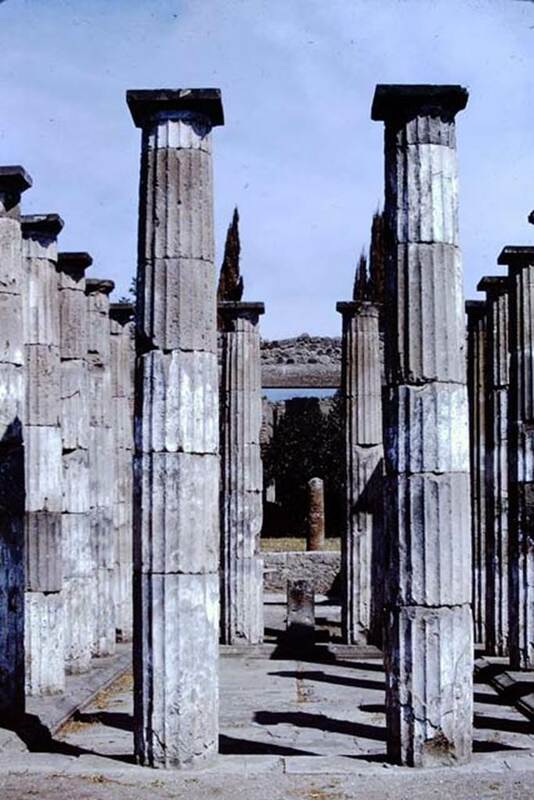 Atrium with 16 Doric columns around impluvium. IX.1.20 Pompeii. c.1943-6. Room 2, atrium. Bomb damage. According to Garcia y Garcia, this house was one of the most savagely damaged during one of the allied air raids in September 1943. 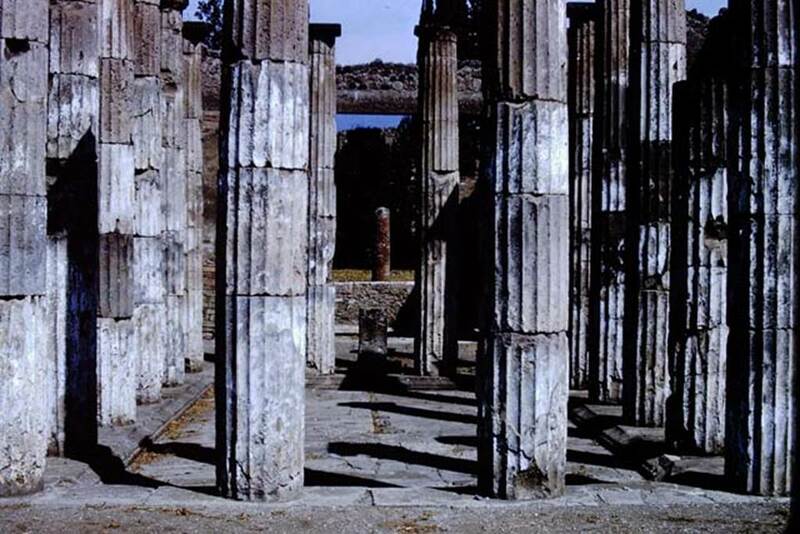 The great Corinthian atrium, hit in its centre in the middle of the impluvium, was completely annihilated, with the destruction of the impluvium and the cutting down of the sixteen tufa Doric columns. The bombing also caused the demolition of the façade wall towards the Via dell’Abbondanza, including the fauces and the neighbouring rooms. 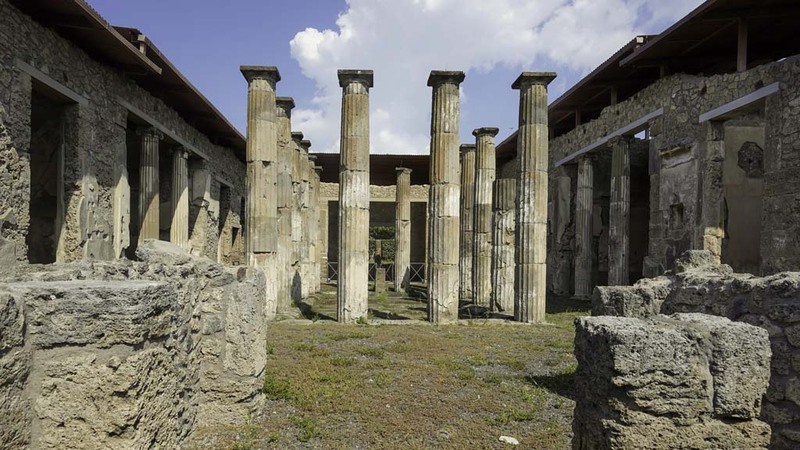 With the immediate restoration and by saving every little snippet, the columns were reconstructed, but it was only possible to restore a fraction of the facade. 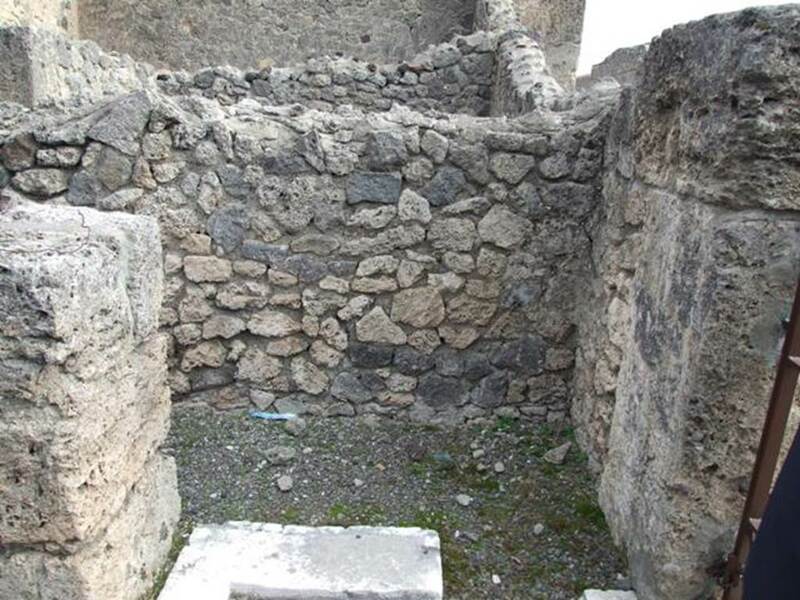 IX.1.20 Pompeii. Atrium from entrance. 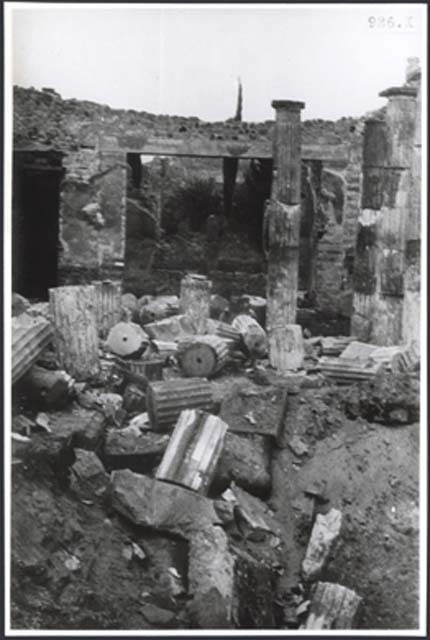 IX.1.20 Pompeii. 1966. Room 2, looking north across impluvium. Photo by Stanley A. Jashemski. 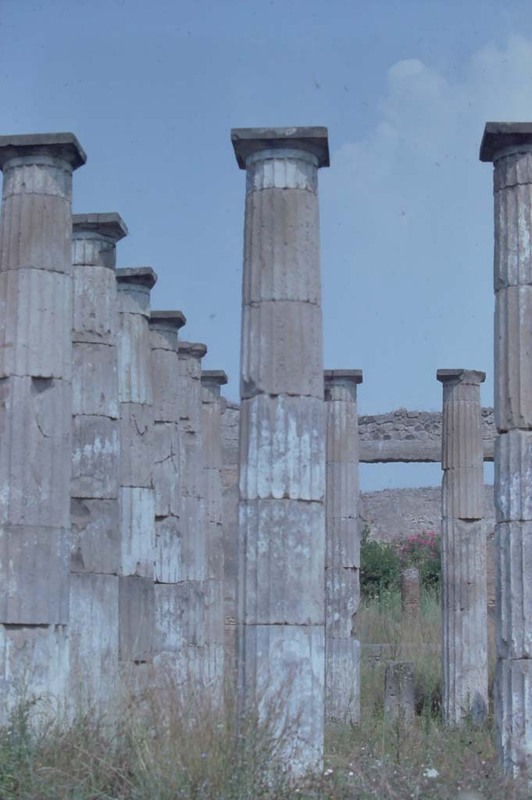 IX.1.20 Pompeii. 1966. Room 2, looking north across atrium. Photo by Stanley A. Jashemski. IX.1.20 Pompeii. 1957. Looking north across impluvium in atrium. Photo by Stanley A. Jashemski. IX.1.20 Pompeii. 1940. Looking north into atrium. Photo courtesy of Rick Bauer. IX.1.20 Pompeii. W.333. Looking north across atrium. IX.1.20 Pompeii. 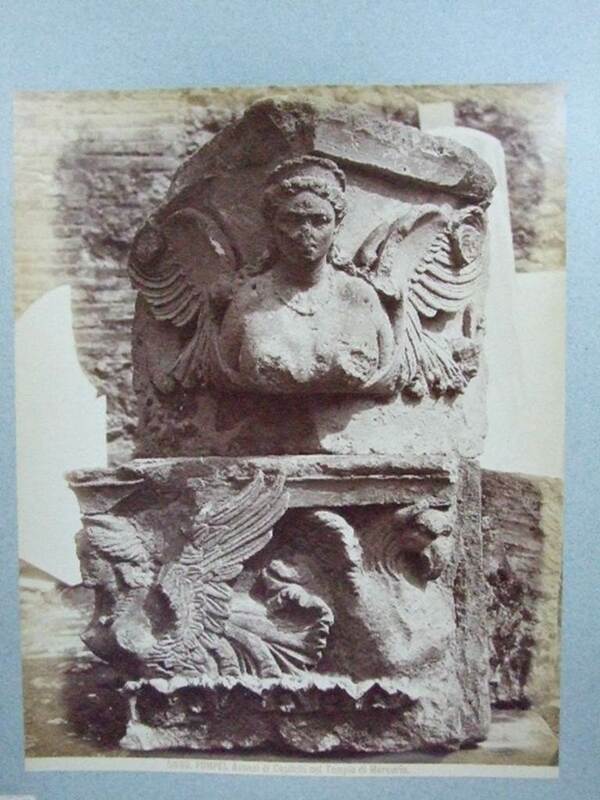 Old undated photograph by Amodio, numbered 2999 in an album dated c.1873. Looking north across atrium. Photo courtesy of Rick Bauer. IX.1.20 Pompeii. December 2006. Atrium and rooms 5 and 6 on east side. IX.1.20 Pompeii. December 2004. Room 2, atrium and rooms on west side. 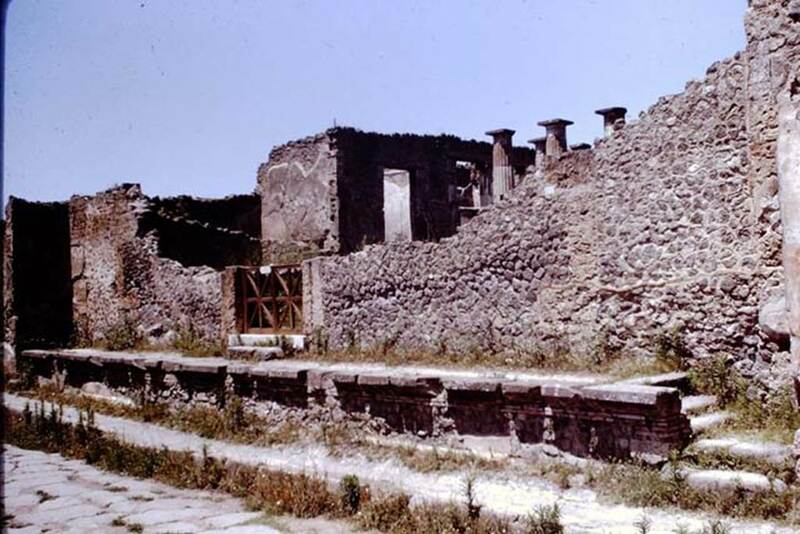 IX.1.20 Pompeii. December 2007. Room 2, atrium. Looking south-east across impluvium towards doorway to room 3, centre right.